I studied costume design in college and there were so many eras in American History whose fashion I adored. Top hats and tails in the Victorian Era, Western wear from the Great Frontier, the Beatnik's cool threads. Fashion goes through cycles, often reliving ideas from different decades. 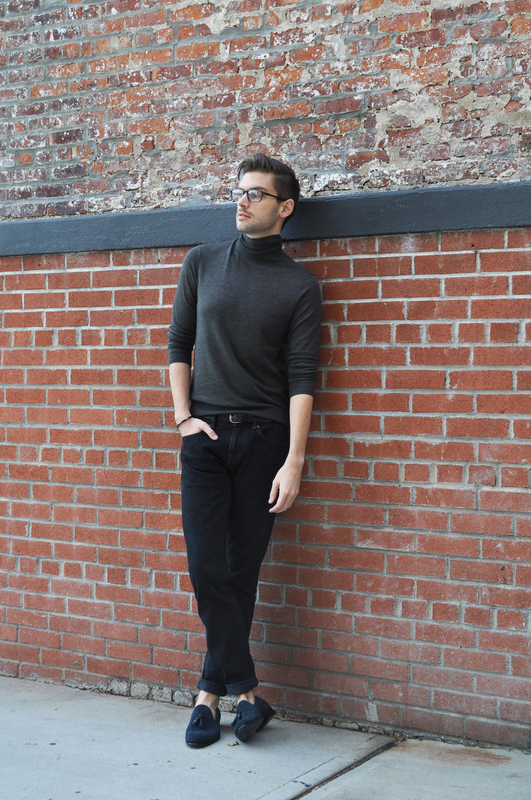 While the fashion world is looking to the 80's right now, I'm looking to the 40's. Vintage is the new current! I'm not one to overthink things though... It only takes a few items to look like one of the greats. A few items, but all of them well-made. These Paul Evans loafers were designed in New York, but made in Italy. 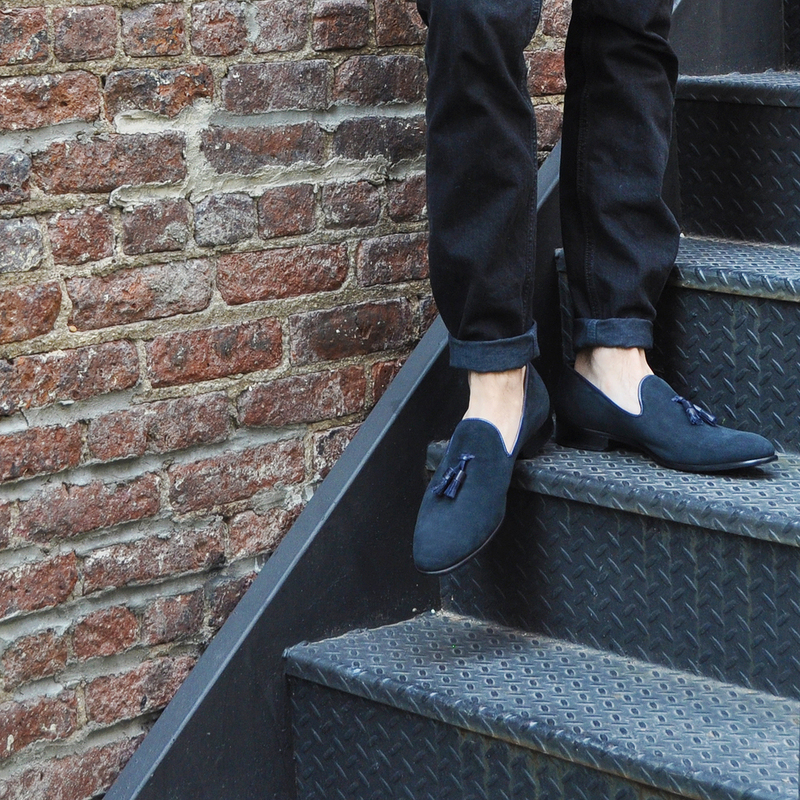 Blue suede shoes never sounded (or looked) so good. I kept it clean so it'd be all about the tassels. I always think loafers look best without socks. One man in Tennessee is behind the jewelry brand Cause & Effect. Each cuff he turns out is made and hammered by hand. 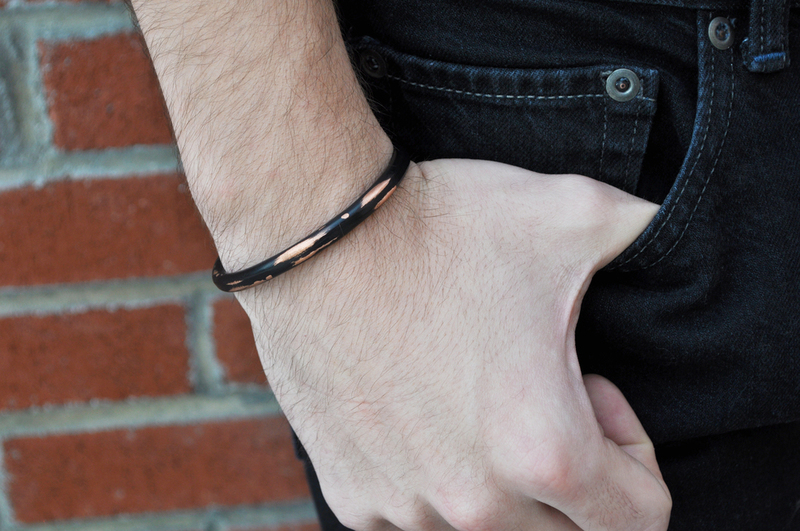 This copper cuff is coated in black but it's meant to chip off over time, exposing more and more of the copper. It's a piece that tells a story. Getting brighter and brighter over time. So... what era are you living in?